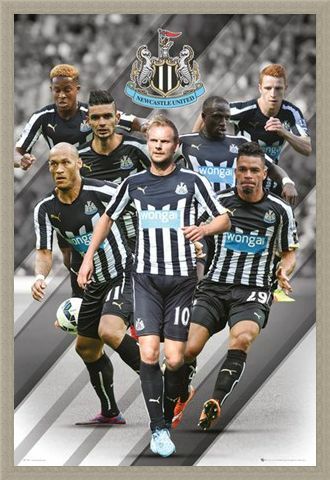 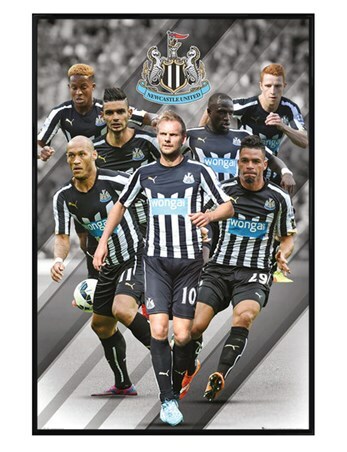 Football Maxi Poster: Wearing their home colours of black and white stripes, seven of Newcastle United's finest players are charging forwards, ready for battle. 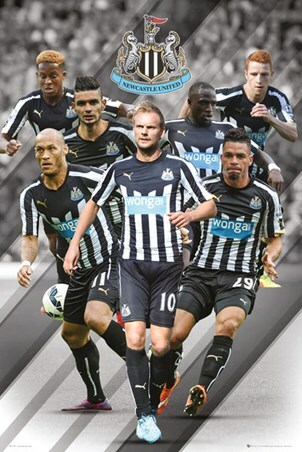 Rémy Cabella, Jack Colback, Papiss Cissé and four others are eager to prove themselves and do the best for the legendary team. With four League Championship titles and six FA Cups under their belts, this club is on their way to victory. 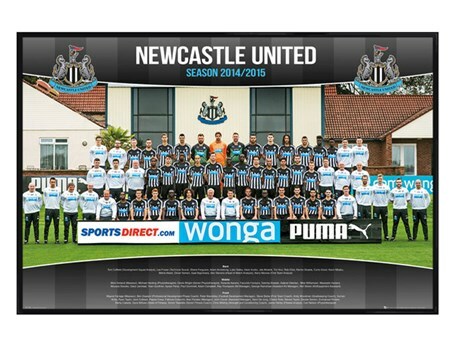 Hang on your wall and keep your hopes and dreams alive. 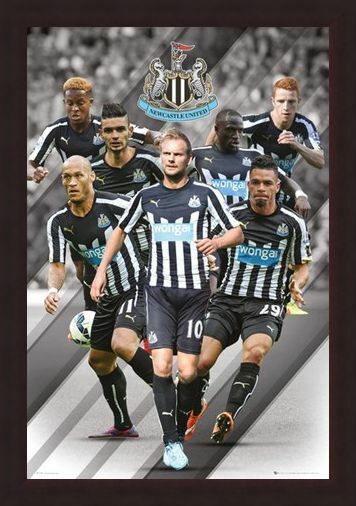 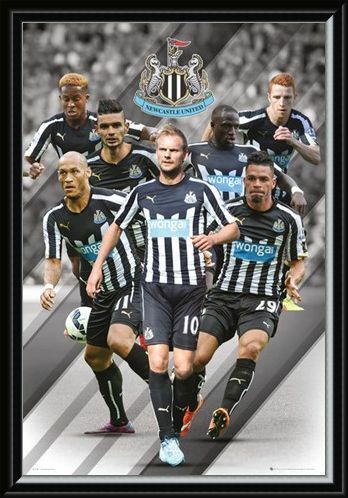 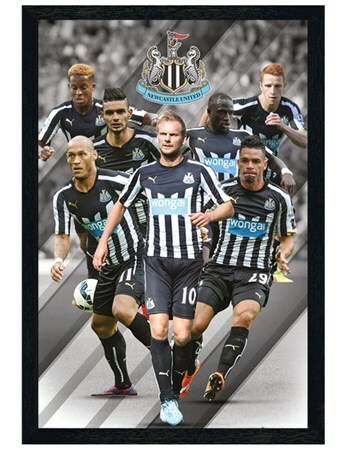 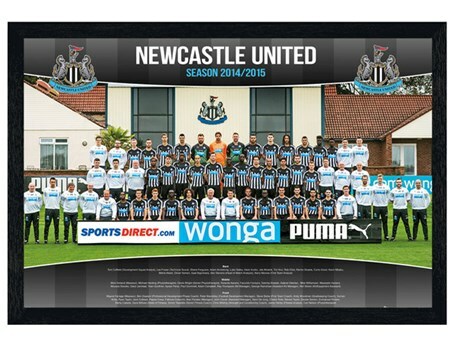 High quality, framed Star Players, Newcastle United Football Club 2014/15 poster with a bespoke frame by our custom framing service.